April is Financial Literacy Month — but, for college students and families on tight budgets, learning how to manage money is really a year-round priority. This month, if you’re a student, a parent or an advisor, we urge you to take some time out of your springtime schedule and get educated on budgeting, credit and the cost of college beyond tuition. Not sure where to start? We can help. These five resources are designed with students and families in mind, and each of them can help you learn about a variety of financial terms and tools. Created by the nonprofit National Foundation for Financial Education (NEFE), CashCourse provides a wide array of financial planning and budgeting tools, with a focus on college students. 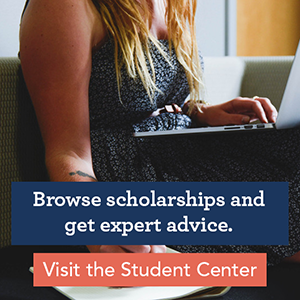 You can sign up free at cashcourse.org to access articles, videos and interactive tools about budgeting, credit and debit cards, financial aid repaying student loans, renting an apartment, filing taxes and more. CashCourse also features a “Budget Wizard” tool, which lets you create a personalized monthly budget based on your real income and expenses. SALT is a money-management and financial literacy tool created by American Student Assistance, designed especially to help you “confidently approach, manage, and pay back [your] student loans while gaining financial skills for life.” It’s easy to let student loans take over your financial life, and SALT aims to help you balance your loan obligations with the rest of your finances. In addition to their focus on loans, SALT’s website also provides plenty of unbiased expertise on everything from two-year degrees to postgraduate study, with videos, blog posts and lots of budget, loan and salary calculators. Last but not least, users can also get live, one-on-one counseling with financial advisors trained to answer just about any money-management questions you have. Wells Fargo has developed the Hands On Banking tool to help people at all stages of life learn the ins and outs of finances. The site provides customized courses for kids, teens, young adults, military servicemembers and others, with information tailored to your specific banking and finance goals. Each free course comes in a desktop or a mobile version (in English and Spanish), helping you learn “money skills you need for life,” wherever it’s most convenient. Other free financial management tools from Wells Fargo include the parent-focused Financial Future Tour, the Wells Fargo Student Center and the CollegeSTEPS magazine and blog — a financial-planning tool for counselors, students and parents that also features a quarterly $5,000 sweepstakes drawing. Wherever you bank, these tools can help you get educated about paying for college. If you don’t live in one of the organization’s focus areas, you can still take advantage of their financial expertise via uAspire.org. 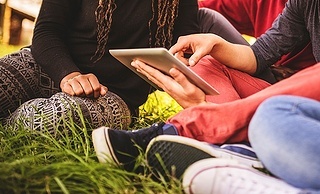 Student resources are geared specifically toward first-generation students and those with significant financial need (who, too often, get the least information about money management in college). In addition, uAspire has partnered with the Citi Foundation and Grad Nation to produce the Dollars for College Toolkit — available here for free download by students, parents and counselors. Certified Public Accountants (CPAs) are among the most financially literate professionals in the nation, so it makes sense that the American Institute of CPAs would provide a comprehensive money management tool. 360 Degrees of Financial Literacy features ten different sections for everyone from tweens to retirees — and includes a detailed section for college students. Topics in the College Student 360 include college costs, loans and budgeting, as you’d expect. But there are also articles and blog posts for unique situations: What if you’re returning to college as an adult student? Can you afford to travel while in college? How can you keep financial stress from wrecking the holidays? The experienced CPAs advising the site have gotten questions that you may never have thought of — and that makes 360 Degrees a valuable tool for anything that might come up.